My readers never cease to amaze me with their enthusiastic responses to this column. Last week, I wrote about the diversity of wildlife on our stretch of the Thames and ever since the paper came out, I’ve been bombarded with people telling me their stories about their encounters with wildlife. MY readers never cease to amaze me with their enthusiastic responses to this column. Last week, I wrote about the diversity of wildlife on our stretch of the Thames and ever since the paper came out, I’ve been bombarded with people telling me their stories about their encounters with wildlife. 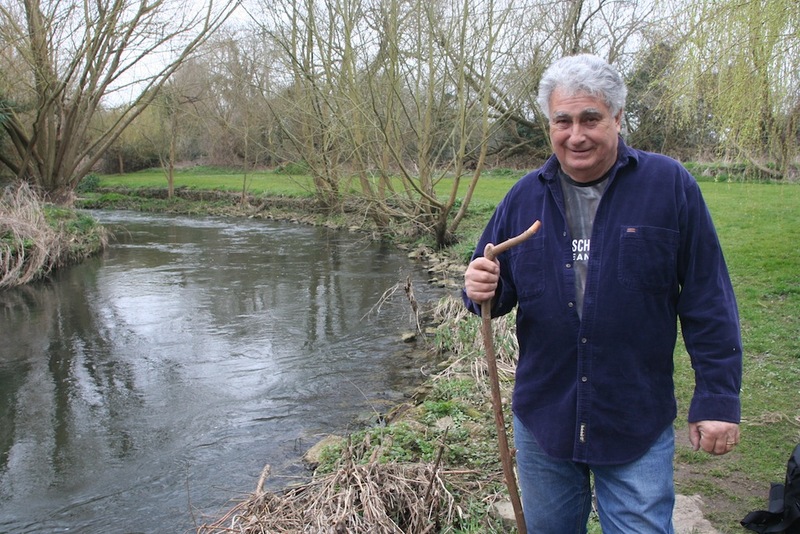 And one in particular, Alan James who lives right beside the Thames at Shepperton, introduced me to a real gem – a creek that runs parallel with the main river for about half a mile or so – that is positively teeming with creatures. Alan, who has lived on the river for more than 10 years with his wife, Sue, tells me: “Some of the homeowners down here got together to clear part of the bank beside the creek and every time I go down there, I see something new. “During the summer, when the creek is running slowly, the water’s crystal clear and you can see all kinds of fish – salmon, trout, chub – it’s amazing. Not to mention loads of terrapins. Alan and Sue are also no strangers to those ring-necked parakeets that used to roost in the tree in his front garden. As we walked along, Alan pointed out a couple of large holes in the bank that were obviously in use by something… I wonder, otters? Anyway, thanks for introducing me to your own private zoo, Alan – I’ve deliberately not mentioned precisely where it is to try to preserve the serenity of the spot. Another who contacted me was Bob Warden, a former ferryman, who reported that a couple of weeks ago, as he was walking along by the Old Mill on the Wey at Addlestone, he saw a mink attacking a duck’s nest. “The ducks were going mad,” he said, “but there was nothing they could do to stop it.” Definitely a slice of nature in the raw. A golfer, who did not want to be named, also reported seeing a mink – running across the first fairway at Laleham Golf Club. Who needs to go on an African safari to see wildlife when it’s all around us right here?